In Emilio Castelar’s Summer-house we will be able to admire some notable architectures. As the building Castelar (Catalan headquarters of the Insurances of West), with his prop that supports the rest of the set. It was projected by the architect Rafael de La-Hoz Arderius in 1975. In 2010 it was reformed under the direction of his son Rafael de La-Hoz Castanys. From 2012 Perez-Llorca is rented to the attorneys’ bureau. His 11 plants are fastened for the only core of concrete, so that the half of his surface remains suspended in the air in projecting by means of tightened cables. The entry of the building is a perron of marble travertino. The element typical of the building is his hanging disposition. The total constructed surface is 13.637 m², divided in five basements destined for parking lots (7.076 m²) and eleven plants on low to offices (6.561 m²). A bit more towards North, we see the New Departments, a governmental complex that shelters the headquarters of several departments. He is in the apple limited by the Walk of the Castilian one, the streets Raimundo Fernandez Villaverde and Agustín de Betancourt and the square of San Juan of the Cross. The project is a work of the architect Secundino Zuazo. His construction began in 1933 and, in spite of the fact that one saw paralyzed during the Civil war, the whole complex remained finished in 1942. 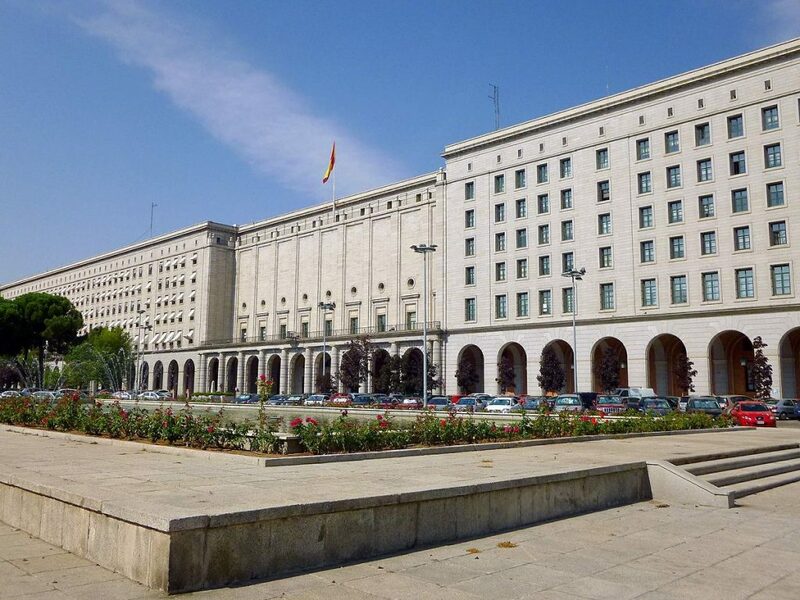 At present it receives the headquarters of the Departments of Promotion and of Employment and National Health Service. 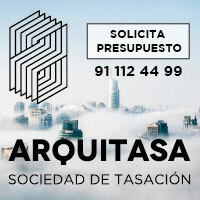 The whole architectural set is situated fullly integrated to the so called center AZCA, one of the central business districts and more important offices of Madrid. In the surroundings there is situated also the station of New Departments, a multiple interchanger with services of Bus, Meter and Surroundings. 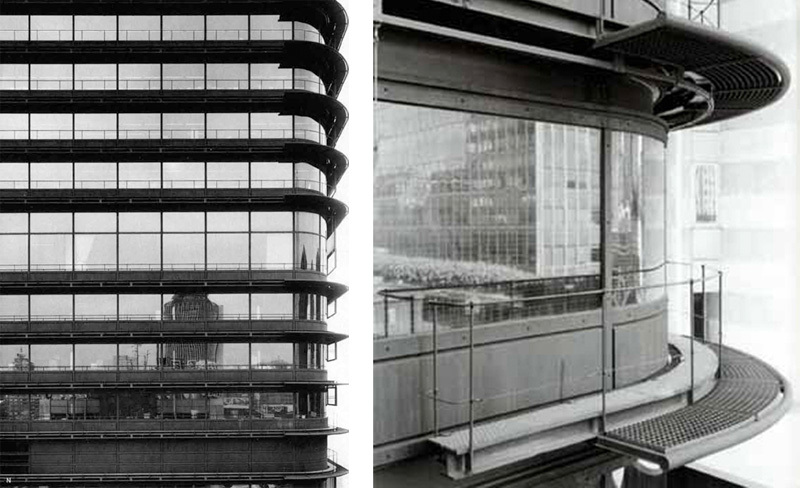 Let’s be going to see Francisco Javier Sáenz de Oiza´s the Bilbao Bank Tower. His construction answered to numerous technical challenges for having to be built literally on the tunnel of the laugh, which the Castilian one crosses and was a refuge in the Spanish civil war. The engineers who designed and calculated the structure were Carlos Fernandez Casado, Javier Manterola Armisen and Leonardo Fernandez Troyano. The whole structure rests on two big batteries of concrete, astride on both sides of the above mentioned tunnel. The central structure supports, to regular intervals, six platforms of concrete pretensado. Each one supports, in turn, five floors of metallic structure. The front has circular corners and of steel and constant crystal, to allow conference on the outside from any point. It is decorated by parasols of aluminium that surround every floor. Ocher treats itself about a tower of rectangular plant, about 107 meters of height in 28 plants and a showy color, increasingly intensely, consequence of the oxidation of the steel of his front. Or the utilization of this material, so called steel cortén, rusty steel in which his process of oxidation is paralyzed. The plant relies on two cores that they are of services (stairs, elevators …) and structural. Diaphanous spaces of work form the whole plant without divisions or obstructions. That is to say, they have free plant. The building, from 2007 it belongs to the real-estate group Gmp, which began in 2015 his rehabilitation and was renamed as Castellana 81. After the reform, Castellana 81 possesses a wide range of services and offices. After spending for different constructions, very interesting some, as the Santiago Bernabéu Stadium, we will come to the Plaza of Castile where they find the Towers Kío, inclined with relation to the vertical one, with a height of 114 m and 26 floors. Both towers form Europa’s so called Door or Towers KIO since they were promoted by the Kuwaiti company KIO, (Kuwait Investments Office). The tower of the left side, in bulging direction of Madrid, is known as Door of Europa I, and other one, Europa II. To avoid his confusion, the first one he has a heliport identical with blue color and the second one, in red. 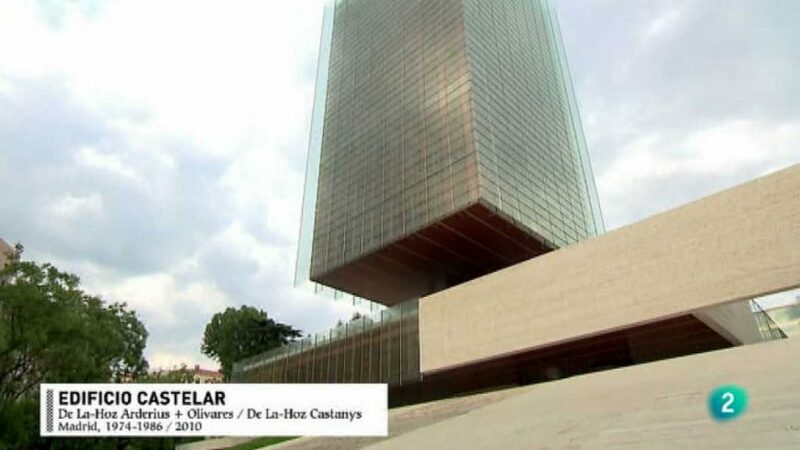 The tower of the left side has Bankia’s logo and the tower of the right has the logo of It Re-allies. They were inaugurated simultaneously in 1996, and they are a work of the American architects Philip Johnson and John Burgee. They are the first sloping skyscrapers of the world. They were constructed and projected to dignify the environment of the Plaza of Castile (where one finds the to Jose Calvo Sotelo monument). The towers have appeared as relevant scene in several movies from his construction: in El día de la bestia by Álex de la Iglesia and the others are destroyed by a plane in the Torrente 3: El Protector movie. 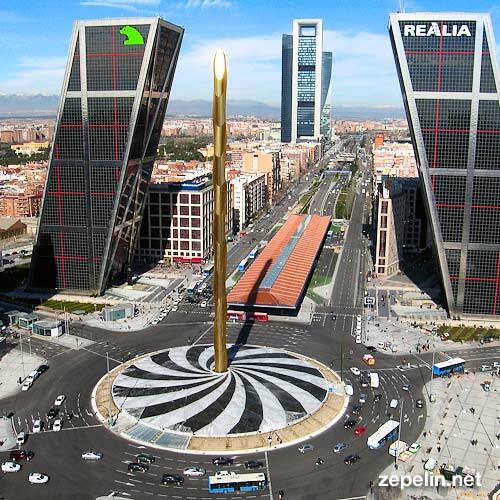 The tracing of the square Europa’s Door and the surroundings, it changed drastically in the middle of 2009, with the construction of the Obelisk of the Box, placed in the central rotunda of the square, to celebrate 300 anniversary of Caja Madrid. It is neither the chance nor the random what has done that our leaders were curling the curl, giving another return of nut to the columns, towers, phalli or skyscrapers sowed as beans in a garden, in the environment of the Plaza of Castile, symbols of a power in decadence. Invisible, empty power of content except for some few ones, creator of “not places”: those that do not receive us, with that we do not index ourselves, where we do not walk, we neither met, nor coexisted in his nearness. Simply we observe them from off. With enough perplexity and terror. But sigh! When already we believed them finished, new other one has arisen (the obelisk of the Box) in the middle of the square. It is gilded, mobile, thin, by organic connotations, and based – on having seemed – in Brancussi’s sculpture. His author is the architect, sculptor and engineer Calatrava. A media figure and – though he has designed initially works of great interest – it has not existed town hall was and inside our borders that “singular” his work has not wanted to have: Bilbao, Barcelona, Valencia, Seville, Murcia, Tenerife, as well as a length etc … and now Madrid, where the Box and the ex-mayor Gallardón have not resisted the temptation of adding another symbol any more than us forces to looking at the sky – to see if it moves or not – when we happen in car with the danger that he carries. And to that the roguish of Madrid one already has put name: El pollón de Gallardón. According to the initial project, the work would measure 120 m of height. Nevertheless, the complex network of underground tunnels that happen for the Plaza of Castile was doing unviable, in view of his weight, to raise in her a monument of such a magnitude. For it, it was decided finally to reduce it to 92 meters. In July, 2008, they began the works, after having dismantled the existing source in the place. After several delays, the obelisk was the King Juan Carlos. In 2012 it was informing that the obelisk remained stopped because the cost of conservation, maintenance, cleanliness and vigilance was more expensive of the well-considered thing, concerning 150.000 € annual. In August, 2014 it was coming out that the Town hall had appraised the obelisk in 100.000 €, in spite of the fact that in his day it cost 14 million Euros. In end, we remain speechless for Calatrava’s Obelisk, but we are going, before finishing the tour, to visit the water tank of the Channel, today room of Exhibitions and we will finish with four towers.